A menacing thump. The water ripples. The earth shakes. 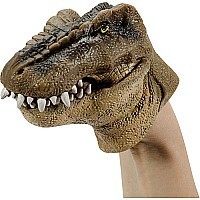 It's Tyrannosaurus Rex! Make your own dino chomps with this awesome T-Rex head.